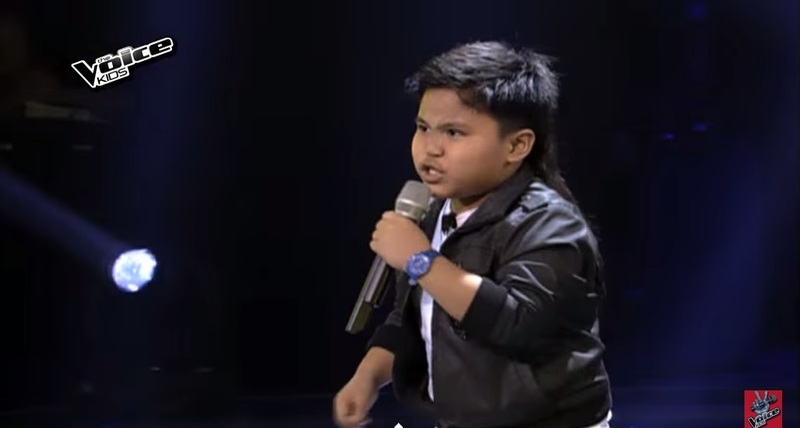 MANILA, Philippines - Seven-year old kid from Carmona, Cavite Lance Kharl Macalinao performed One Direction hit song "What Makes You Beautiful" during the continuation episode of the blind auditions of ABS-CBN's top-rating and Twitter-trending singing reality show 'The Voice Kids' Philippines Season 2 on Sunday, June 14, 2015. Lance Kharl impressed Coach Bamboo and has volunteered to sing "Treasure." “You’ve have officially been outswagged!,” Coach Lea said. "Yung ibang nota mo kanina, okay lang yon. Dala mo yung crowd eh!" Coach Bamboo said as Lance charmed the audience.